Home » Blog » Learn » What Does It Mean When It Says Toll Free? What Does It Mean When It Says Toll Free? If you’ve ever called a 1-800 number, you’ve used a toll free number before. 1-800 numbers only scratch the surface of toll free numbers, however. There are also 888, 844, 855, 877, and 866 pre-fixes or three digit codes, used for toll free calling. The purpose of these numbers is for customers to contact businesses or individuals without excessive charges. Learn how these numbers work and what benefits they offer your business and customers by reading on. Businesses contact telecommunication business—like GlobalCallForwarding.com—to set up a toll free number. They purchase that number and all calls are forwarded to either a call center or some other direct number of their choosing. The charges incurred by using the number are passed on to the owner of the number being called, who pays a per-minute rate, never the party who makes the call. Phone numbers are assigned by “Responsible Organizations” who have access to the SMS/800 database. Some numbers may be available for customization, also known as vanity numbers, but all others are strictly first come first serve. Toll free numbers are available on an international level, and may be used to connect businesses with customers around the globe. The process works by forwarding calls to a specific phone number. This is typically done with a phone management software system. The goal is to seamlessly transfer phone calls to the phone number of choice without interruption or delay. Phone calls can be made or transferred to landlines, mobile phones, and in some cases even fax machines. 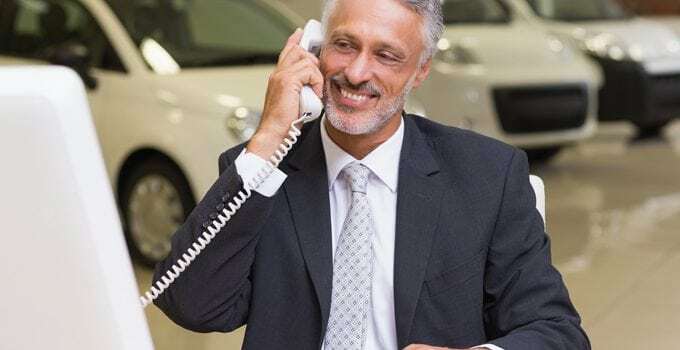 Providing toll free calling for customers is a responsibility most business owners recognize, which is why toll free numbers are so widely used. AT&T was the first company to own and use toll-free numbers. That was all the way back in 1967, and the first number had a prefix of 800, which is part of the reason why “1-800”is the most well-known of all the toll-free numbers. Before the inception of toll free numbers, customers were forced to call collect which came with hefty fees. Today, millions of toll free calls are made each and every day around the globe. We’ve briefly covered how toll free numbers save customers big-time on call costs, but we haven’t explored what other ways businesses and consumers win big by using them. For starters, 1-800 numbers and their brethren, have ‘name’ recognition—or number recognition if you will. Customers know as soon as they see commonly used prefixes that their call will be fee-free. They don’t think twice about giving a business a call because they’re confident they won’t be charged ridiculous rates. Businesses, despite being the charged party, greatly benefit from using toll free numbers. While vanity-numbers (numbers that are brand specific i.e., 1-800-FLOWERS) are easy to remember, plain 888,855,877 numbers also build credibility for businesses. Even the smallest of businesses can benefit from having a set number. Corporations and established businesses are recognized for having a toll free number, so by default all businesses who use them look more responsible and credible. Toll free also helps your business stand out, especially if you are just getting started. If you have your sights set on global dominance, 1-800 numbers provide direct access to your business, and customers don’t think twice about calling you. Corporations and industry leaders use toll free numbers to establish themselves as credible, reliable, and trustworthy. Small businesses can do the same when they invest in toll free numbers. Customers benefit by free calls, and are more likely to select companies who care about customer service. Without toll free numbers the business world would be completely different. Fortunately, this service is available anywhere in the world, all thanks to global call forwarding technology.